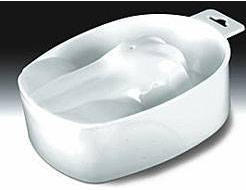 The perfectly shaped manicure bowl preferred by customers, demanded by manicurists. 7 Inch by 5 Inch by 1.5 Inch. Size (inches): 6.30" X 4.92" X 2.36"